Lights Out, Uh Huh… | So Many Flavors, So Little Time! 2. 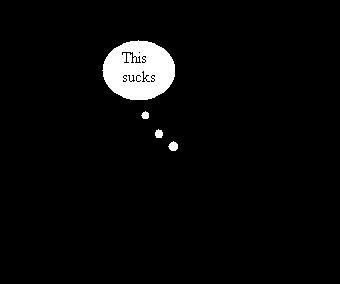 During a lengthy blackout, your spouse and children can do nothing right. Just accept it and relocate to an undisclosed location and be done with it. 3. Too much time on your hands is a bad thing. Trust me on this. 4. In the shower, no one can hear you scream, especially if you stuff a washcloth in your mouth first. You think I’m kidding, don’t you? I have never dropped the f-bomb as many times in my life as I did over the past few days. Seriously, it was ugly and I’m just now starting to come down from all of the excitement. there is a slight upside ya didn’t get any snow or ice, right??!! anyway it was awful! Doug had just had hernia surgery and we were living in that tiny trailer! talk about no room! anywho, again great blog, and glad you’ve got your power back! HA! Having worked for that particular utility for several years, we consider it a badge of honor to get bitched at for things that are well beyond our control! I never got to the elation phase. My job never closed, even though we had no business being open. I never got time off, and so I went to work to get away from my little pitch-black apartment, and went home to get away from my pitch-black, airless, hot as heck place of employment.